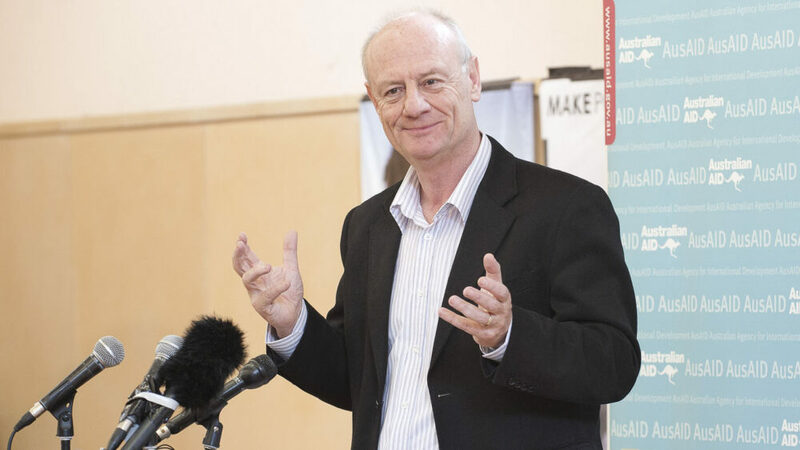 Tim Costello at the "Dollar for Dollar" campaign launch. What does a Christian calling look like? It is not a matter of chance; it is a matter of choice, but sometimes the path to our vocational destination is not a straight one. We can sometimes be distracted; and start to head down the wrong road. In my new book Faith, I tell the story of once being tempted to leave my own God-given vocation. After my time as Mayor of St Kilda in the early 1990s, I didn’t want to go back to the small world of being a minister in a local church. I imagined having a larger sphere of influence. And then came the opportunity that seemed to be the right call at the right time. The Australian Democrats offered me a Senate seat in the Federal Parliament as a casual vacancy. I wouldn’t even have to go to an election. From time to time, I’d been tempted with the idea of working in politics and now it was being offered to me on a plate. What could possibly be wrong with that? Before my political career was to be publically announced, I addressed a Christian rally on Easter Sunday on the steps of State Parliament. There were thousands of people in the crowd but, in my head, I’d already left being a minister and had emotionally deserted this mob. Then, the person who introduced me to this mob pierced my bubble. He said: “Tim, we are proud of your faith and that you belong to us.” I looked down at the crowd of smiling and nodding heads and thought: “But you don’t realise that I am out of here”. The man continued: “We pray for you; you are our voice.” Tears welled up in my eyes. These people were my mob. Hadn’t I set out on this vocation of Christian ministry with the affirmation of people like them? I look back on this now as a crossroads. It was the moment I realised that politics was my temptation but not my vocation. I turned down the offer of the Senate seat. Our deepest calling is to grow into our own authentic selfhood, whether or not it conforms to some grandiose image of who we think we should be. We are deceived if we do not live for something beyond ourselves. We must sometimes be reawakened to answer the unique call each of us has in this grand privilege called life.